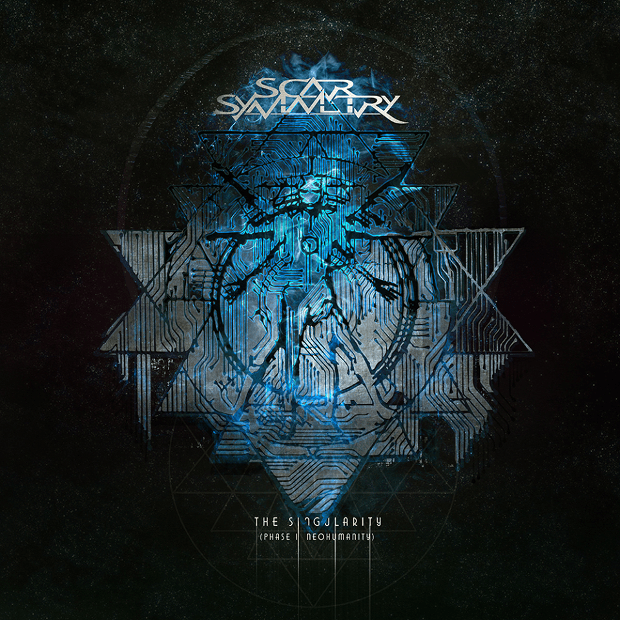 In January 2014, Swedish metal band Scar Symmetry announced that their next albums will be a part of the trilogy called The Singularity. 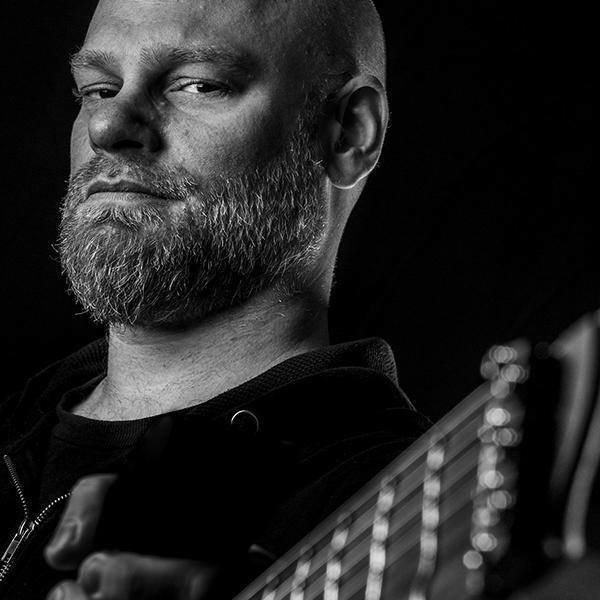 In our recent interview with the band’s guitarist and main composer Per Nilsson, we talked about their upcoming album, his new guitar signature model and many other things. Per Nilsson is involved with many other bands and projects, and progressive rock fans know him also as a member of Kaipa, with whom he released three studio albums and is working on the fourth. Read on! Prog Sphere: Back in January you announced The Singularity trilogy, and except the album art for the first part which is titled Phase I: Neohumanity we don’t know much about it. How close are we until having the final product released? Per Nilsson: I’m putting the finishing touches on the recording right now, so my best guess is that the album will be released in August or September. It depends a bit on the record label, what their release schedule for the fall looks like and stuff like that. We really took our time writing and recording this album! Prog Sphere: Tell me about the creative process that informed the first part of The Singularity? Per Nilsson: About a year ago, when we started talking about doing a new album, I had this idea that instead of making a new full-length album, we should do something more elaborate like a trilogy of EPs, all tied to the same concept and with some sort of chronological timeline. Henrik fired on all cylinders and wrote a three-part synopsis around the concept of the technological singularity – which is a hypothetical but very likely event, a moment in time when artificial intelligence have progressed to the point where it is superior to human intelligence. The course of human history beyond that point is unpredictable or even unfathomable, but we take a shot at it describing one possible – plausible? – future. As I said, we first set out to do a trilogy of EPs, but we quickly realized that this was a story too wide in scope, so we eventually decided to make it a trilogy of full-length albums. Prog Sphere: Is the writing process for the trilogy approached as a whole, or the remaining two parts will be written separately? Per Nilsson: A bit of both – we have a synopsis that is pretty detailed, and I have a sort of general idea of where the music is gonna go throughout the trilogy in order to suit the lyrical content, but beyond that, we’re writing one album at a time. I have some concrete ideas for the next two albums, riffs and whatnot, but no finished songs. Prog Sphere: Are we that close to having artificial brains fully take on humans? Tell me more about the concept behind The Singularity. Per Nilsson: It depends on who you’re asking – futurist Ray Kurzweil said in an interview with Time Magazine that we’ll be successful in reverse-engineering the human brain by the mid 2020′s, and by the end of that decade, computers will be capable of human-level intelligence. We might also see the advent of human-intelligence-amplification technologies, as well as other mind and body enhancing technologies paving the way for a class of superhumans – and it’s likely to assume that these technologies might only be available to the already rich and powerful. Prog Sphere: Have you managed to make any new discoveries in terms of songwriting when working on The Singularity? Per Nilsson: This album is very special to me because it’s the first Scar Symmetry album where I’ve written all of the music myself. In the past, Jonas and I always shared the songwriting load, sometimes co-writing or bouncing ideas off of each other. Writing everything myself was very exciting in that I could see my vision through from start to finish without having to run it through someone else’s artistic filter, something I’ve never really done to this extent before. I mean, don’t get me wrong, I absolutely love working with Jonas, but being in total control of the creative process have been really cool, especially since I’ve been in charge of the production as well. Prog Sphere: Musically speaking, where does the new songs stand compared to your previous efforts? Per Nilsson: What it’s got in common with The Unseen Empire is the balance between the melodic side and the brutal stuff. It is considerably more progressive though, with two of the songs clocking in at around nine minutes each. Prog Sphere: I suppose that the new album will be released on Nuclear Blast, right? Prog Sphere: Along with the trilogy you revealed your new signature guitar named Singularity, designed by Strandberg. What are the specs? Was this guitar used as your main guitar for the trilogy? Per Nilsson: When Ola Strandberg and I set out to design my signature guitar, our idea was to sort of replicate the sonics, the playability and the aesthetics of my favourite guitars, and fuse that with Ola‘s own innovative and ergonomic design. Since I very rarely use neck pickups, especially in Scar Symmetry, we opted for a somewhat unusual pickup configuration. In the bridge position I have EMG’s 57-7 humbucker, a pickup that’s got some of that PAF character that I’ve based a lot of my sound on, and that’s the pickup I use 99% of the time. I also have a single coil SA7 in the mid position, which I use in combo with the bridge pickup for strat-like clean sounds. In the absence of a neck pickup, there was room for an extended fretboard, so I decided to go with 27 True Temperament frets – now there’s no extended cutaway on the guitar, because these extra frets are mainly meant to be used for tapping. The guitar’s got a alder body, maple neck, rosewood fretboard, and a red and black swirl finish provided by Michael Carballo of Livewire Guitars, possibly the best swirl artist right now. I had recorded a lot of guitars for the album with one of my old guitars, but when I received the first Singularity prototype, I went back and re-recorded everything haha! The guitar sounds so amazing, and the unbelievably accurate intonation of the True Temperament frets makes everything sound really nice and smooth, especially chords. Prog Sphere: How do you generally go about choosing which guitar will you be using on certain songs or pieces? What does influence these decisions at most? Per Nilsson: Generally when I produce a recording, I use one main guitar, typically the one that has the best overall sound and that is set up right in terms of intonation, action and so on. The only reason then to choose another guitar for a part of song is if I feel that that specific part calls for a different kind of sound that the main guitar can’t produce. Prog Sphere: Do you have any kind of preferences in terms of gear you use? More specifically, what kind of gear did you use for the new album? Per Nilsson: I’m used to work with anything, and I’ve done recordings with some very low budget gear in the past. I recorded all the rhythm guitars for the new album as a DI signal – a clean signal directly from the guitar – and later went to my friend Ola Englund‘s studio to reamp the guitars with him and Jocke Skog. We used his Randall Satan amp and the Torpedo Reload from Two Notes Audio Engineering, a nifty little device that works as a loadbox with built-in cabinet simulation, sounds incredible. Prog Sphere: There are many Android and iOS guitar rig and processor apps. What do you think of it? Have you used any of those? Per Nilsson: I’ve only briefly tried Positive Grid’s software, but I got a good impression of it. Incredibly handy for all the times when you don’t have access to your real rig. Prog Sphere: Do you think that the development of technology decreased the quality of music in some way? Per Nilsson: No in my experience, no. If anything else, the development of technology has radically made the tools for music creation and recording available to a lot more people, and it has made it possible for people to spread their music much further than before. There is probably more music in rotation online now than ever before, and quite naturally a lot of it is not gonna be on a very high level – everyone has to start somewhere right? – and that might give you the impression that the quality of music has decreased. Prog Sphere: You also work as a producer. Is there something in particular that you try to achieve when producing? Per Nilsson: I want to make the musicians pull out their best performances ever, that is much more important than all the technical aspects of recording. You can fix out-of-phase multitrack recordings, tune vocals and quantize stuff later should you feel the need, but you have to get the right feeling and mojo out of the performers or else no editing will save you. Prog Sphere: In my recent interviews with Misha Mansoor and Javier Reyes I asked them about guitar albums that essentially inspired and influenced them as guitarists. What are your favorites? Add to that pretty much all of the Shrapnel shred albums of the 80s – Greg Howe, Jason Becker, Marty Friedman, Michael Lee Firkins, Tony MacAlpine, and many many more. Prog Sphere: What’s going on with Kaipa lately? You were a part of the band for the last three albums. Is Hans up to something these days? Per Nilsson: We’re in the midst of recording a new album – I had to pause the work in order to produce the Scar Symmetry album, but as soon as I’m done I’m getting right back to finishing up the Kaipa album! Prog Sphere: I’ve been wondering for a while now, how do you go about handling all these switches between the different bands or projects? [laughs] You have Scar Symmetry, Kaipa, The Absence, Zierler Projects and more. Per Nilsson: It’s a lot of work! But I don’t really have a problem switching between the bands, and most of the time, I really do one project at a time. Prog Sphere: How do you see progressive scene today? Are there any modern progressive rock and metal bands that you listen to and that you think deserve more attention? Per Nilsson: Unfortunately with all the work I’m doing on my own music, I don’t have the energy to check out new stuff the way I used to. One of the more recent progressive discoveries I made was British band Haken – their latest album is awe inspiring and incredible. Prog Sphere: With Prog Sphere we tend to release a downloadable Progstravaganza compilation series, highlighting the artists coming from progressive related genres from all around the world. Do you think such a thing is good enough to showcase the potential of many unheard bands on the already overcrowded scene? Per Nilsson: Yeah absolutely! Some years ago I used to buy metal magazines that had CD compilations attached, it was really cool to check out new music from both old and new bands. One of the rare occasions when I listen to music is when I drive my car, and compilations are perfect then! Prog Sphere: The response of the metal and music community in general on Paul Masvidal’s and Sean Reinert’s coming out publicly to talk their sexuality was really something good to see, but however there were some homophobic comments. 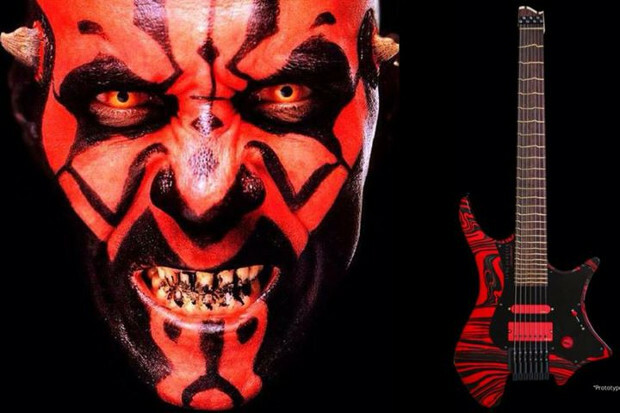 One of these comments was from Vik Kuletski from ViK Guitars what led to few guitarists including you, if I’m not wrong, terminating endorsement contracts with ViK Guitars. Would you elaborate on that? Per Nilsson: I don’t really know Vik Kuletski and I haven’t played any of his instruments – so there wasn’t any need for me to terminate any contracts or anything. But yeah, I was one of the guys calling him out for being a bigot, in defence of Paul Masvidal obviously but also for all LGBT people. Mr. Kuletski continued making gay-bashing comments which most people didn’t take kindly to, and as much as I’m appalled by his words it was beyond awesome to see so many many people rise up against this sort of intolerance! Prog Sphere: The Internet is a place where people will easily get angry and offended if you express your opinions publicly, resulting in tons of hate. To paraphrase Frank Zappa: “Why do you necessarily have to be wrong just because a few million people think you are?” What is your opinion on that? Per Nilsson: Well you don’t want to anger the Anonymous Trolls’ Lynch Mob, that’s for sure! I guess you could say that that was something that happened to Vik Kuletski – I mean, a lot of the flaming that he had to endure were totally justified in my opinion, but along with that also comes the avalanche of rage and hate that very much resembles a lynch mob. I saw people commenting on his Facebook pages, wishing him all sorts of diseases and painful ways of dying, which I think is crossing a different line and straying into another form of intolerance. But then again, anyone who has spent time hanging around the Internet’s forums, blogs and communities should be able to grasp that making comments like his is bound to produce some nasty results! I would think twice before posting hateful comments online – even it they are justified. Opinions expressed in writing are very one-dimensional, especially if you’re not writing in your native language, and when people can’t hear your tone of voice, your inflections and see your body language, it is very much open for misinterpretation. You’re much more likely to be misunderstood when posting about controversial things than when keeping your posts and comments positive and upbeat. I even got a tiny little bit of that lynch mob hate directed towards me for calling Vik out for being homophobic. All in all, freedom of speech – and thought – are beautiful things, while hate and intolerance aren’t. Be kind, people, and practice yer guitars!